This year I wanted to start taking vitamins every day. After some health issues, surgery and a six and a half pound tumor a while back, I decided that I am not invincible as I once thought. Being 33 and having a tumor that was so big that I looked noticeably pregnant really scared me. I went from being a healthy adult to having an oncologist, getting a colonoscopy and an endoscopy. I wasn’t sure of what was going on in my body. It made me take a hard look at what I was doing to help my health. A few years ago, I took Noah’s vitamins for about a month, then stopped. I figured it wasn’t the right need for me. Noah however takes vitamins every day. I think the last time I took vitamins every day was when I was pregnant with Noah and taking a prenatal vitamin. I know I wasn’t getting the right amount of vitamins and minerals that I need at my age. I can tell you that picking out vitamins is not an easy task. There are so many different types and brands. It can be tough to know what you should choose. I have looked at the vitamin aisle for myself and I am always like a deer in headlights. One of my friends asks the pharmacist for help on everything, but I would feel like I am bothering them. Do I get chewable, the kind you swallow, gummies, or liquid? I personally like gummi vitamins. It makes it more fun. 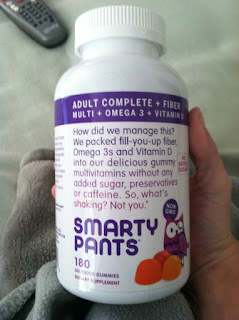 I had the chance to try out some Smarty Pants Vitamins. Thankfully, they are gummies. I have had problems with swallowing pills in the past. I had to hide my prenatal vitamins in applesauce when I was pregnant with Noah. I am a very picky person when it comes to flavor. I really like the way the vitamins taste. They have so many different vitamins and minerals. They also contain fiber, which is something I don’t always get enough of. There’s also probiotics which is supposed to be good for your gut. It makes me nervous when I take a lot of different things. I love how Smarty Pants has so many different things. You don’t have to spend five minutes taking different supplements and having to remember them all. Different vitamins can be expensive when you have to buy several different types. Smarty Pants vitamins are an Adult Complete + Fiber + Multi + Omega 3 + Vitamin D Dietary Supplement. They are an excellent source of Fiber, Vitamin C, D, E, B6, B12 and folic acid. They do not contain Caffeine or added sugar. They are non-GMO and have no preservatives. They also contain DHA. Smarty Pants are gluten and casein-free, which is great for gluten free families. Actually, it’s great for most allergy families, not only are Smarty Pants Vitamins gluten free, they are also yeast free, dairy free, egg free, peanut free, and shellfish free. If you are worried about artificial colors, Smarty Pants are free of those too and No High Fruticose Corn Syrup. For adults: You take six a day, with or without food. It’s like a sweet little snack. I look forward to taking them every day. 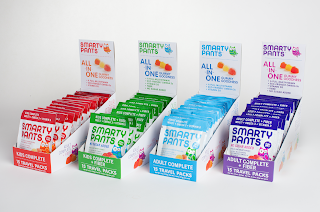 Smarty Pants also makes Adult Complete + Multi + Omega 3 + Vitamin D Dietary Supplements too. So if you don’t need the extra fiber you can take these. 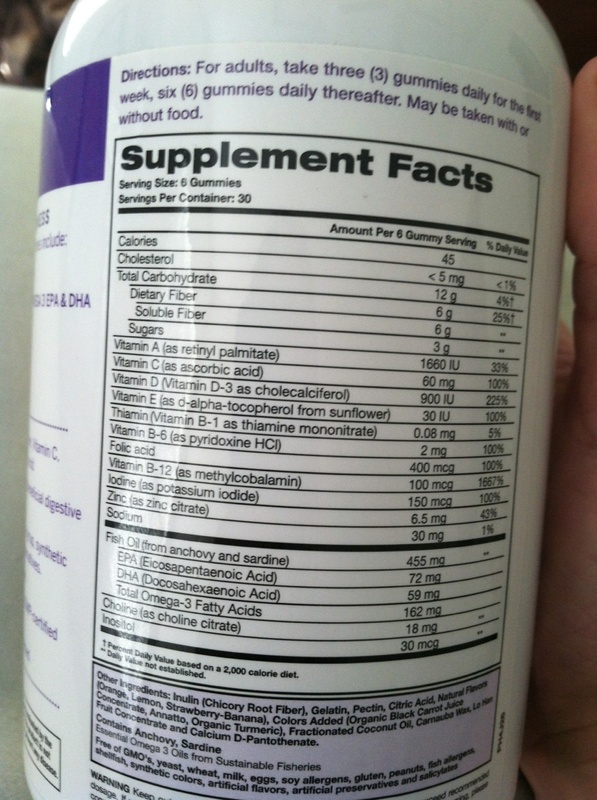 There’s also a Prenatal formula. They contain L-Methylfolate, Full multivitamin, Omega 3, EPA & DHA, Vitamin D3 & B12. They do not contain iron and suggest talking to your health care provider for an iron supplement. Where were these when I was pregnant? I hated taking my prenatal vitamins. I wanted to throw up every time I had to take them. When I was in the hospital on bed rest my last two weeks of my pregnancy, when my prenatal came I had to take it with water. I didn’t have applesauce to take it with. Smarty Pants also has a couple formulas for kids too! Oh yes, they also make kid’s vitamins. They come in two different varieties. Kids Complete + Fiber + Multi + Omega 3 + Vitamin D and Kids Complete + Multi + Omega 3 + Vitamin D. Noah is a pickier eater than I am. I worry about his health when it comes to making sure he gets everything he needs. He was able to try a sample too. He really likes it. He said it tastes like a gumdrop. I think that I will switch him to Smarty Pants Kids Complete with Fiber soon. All varieties are available in On the Go Packs which are great to use while traveling or anytime. I really like that they contain the proper serving size and not just one or two. The best part of Smarty Pants is their participation in Vitamin Angels. We can just go to the store and get vitamins. We have access to all kinds of nutrients, sadly some kids do not. Vitamin Angels provides lifesaving vitamins to mothers and children under five at risk of malnutrition, reducing preventable illness, blindness, and death and creating a healthier world. They also provide breastfeeding support, deworming, and prenatal vitamins. When you buy a bottle of Smarty Pants Vitamins, you are providing a bottle to help a child or mother. Smarty Pants has provided vitamins to 200,000 children. Did you know that malnutrition is #1 in preventable child deaths? So many children could be saved through vitamins. It’s just as simple as providing your family with vitamins, and helping someone in need. Check out Vitamin Angels to see what wonderful things they do. I have an opportunity to do a giveaway of Smarty Pants Adult Vitamins to one lucky winner! One reader will receive a supply of Adult Complete + Fiber + Multi + Omega 3 + Vitamin D Dietary Supplement. Mandatory entry: Please comment why you want to win and if you are taking daily vitamins. My oldest daughter (21) can only take adult chewable or gummie vitamins. These would be perfect for her since she doesn't always eat as properly as she should being a full-time college student with 3 jobs. Thanks for the chance! I'd love to win because taking a daily vitamin is important. My entire family takes vitamins daily and we love the gummy ones! I'd like to win and try Smarty Panta vitamins for myself so we can all benefit. I really like the Omega 3 added benefit for adults. I am very health conscious and want to make sure I'm around a long time for my kids. I do take vitamins daily, but gummies are more fun for sure! I'd like to win because I know they taste great and I love that they give back. I currently take a multivitamin. I always forget to take my vitamins. I think that enjoying a GUMMY would make me remember. I am hit or miss when it comes to taking vitamins. I don't take vitamins but I know I should! I want to win because I love gummy vitamins and I really need to get back into the habit of taking them daily. I ran out and just haven't bought anymore which is so lazy of me. I take a multi vitamin to fill in the gaps. I'd love to win so I could try these -- especially the complete. 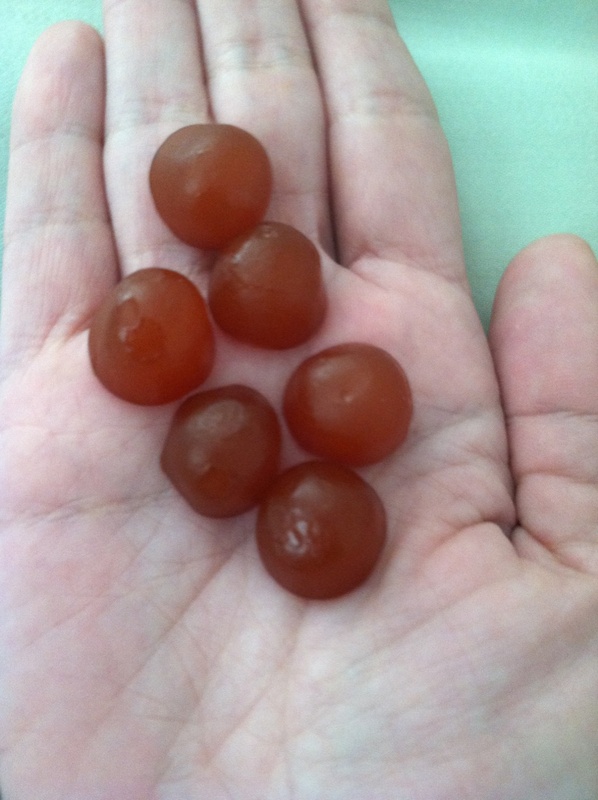 My husband loves gummy vitamins (I can't lie I do too!) because he doesn't like taking pills so these are really a blessing for our family. We take vitamins daily as a family, both my children and my husband and myself, I really feel they are essential to my kids health and ours as adults too. I agree with what you said and think they are like a sweet little snack!